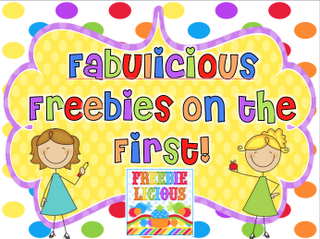 ♥Teaching Fabulous Firsties and 2nd Grade Smarties!♥: Freebie on the First! Happy December, Everybody! I must say that the Christmas season is SO much fun with little Firsties! We had fun making Christmas Countdown Chains. Pretty much everything from now until December 22nd is going to have to keep my kiddos' attention. My first Teachers Pay Teachers' Cyber Monday was successful (for a newbie!) and I had fun buying great products, too! Now, it is time for holiday freebies! I am joining up with Freebielicious for "Fabulicious Freebies on the First!" Here is a FREEBIE my kids have fun doing and it helps my kids with counting and place value. It is similar to my pages in my Santa's Christmas Math and Literacy Centers. You can click on the picture to download one for yourself! I am so thankful for all of my friends and followers! Thanks for visiting! Thanks for the math freebie, Corinna! I'm follower number 229 of your blog. :) Thanks for visiting mine! Thanks, Cindy! Thanks for visiting! Thanks, Jayne! I LOVED your cute gingerbread and penguin activities! I'm going to be using them soon! Hi Corinna! Thanks for the freebie! This is perfect. I'll be using this worksheet this week since we will be going over numbers 11-20. Thanks for also stopping by my blog. I'm your newest follower! Thanks so much for the wonderful freebie! I look forward to using it. Thank you so much! Super cute. I just placed it in my Christmas file on my computer for next year.